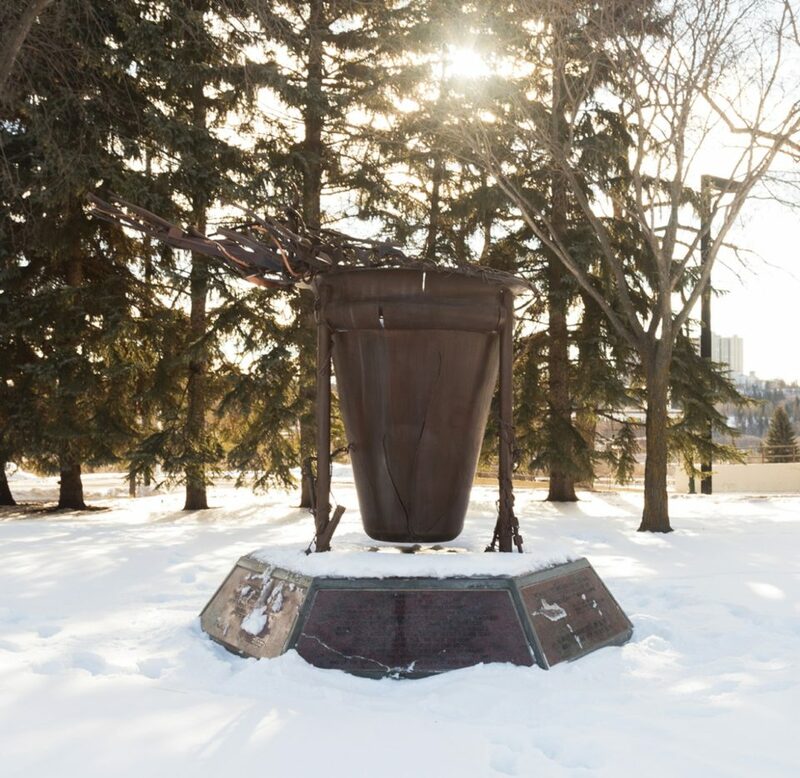 A poignant sculpture on the legislature grounds. I had a high-school history teacher named Charles Leskun who believed that primary sources were the best resources. Mr. Leskun organized a trip for our class to meet with Holocaust survivors. I still remember that day; our speaker talked about how the liberators opened their ration packs when they saw the states of the prisoners in the camps. But he knew that those who have been malnourished for so long can become very sick by eating and eating. He told us that he saw people at the camp fall ill because they gorged on what the soldiers brought them. He knew that he had to make a broth out of the food he received, and slowly get back into the habit of eating, like, well, a person. It was moving. And it was clear how important it is that we never forget. Those words, “never forget,” are why we should all visit “Vessel of Souls,” the Holocaust memorial on the legislature grounds. And don’t just give it a passing glance. Go up close. Read the words written in the stone underneath the cracked Kiddush Cup. See what looks like bits of barbed wire that snake around the pillars that hold up the vessel. Note the words on one of the panels: “They were poets who never wrote; artists who never dreamed; teachers who never taught, students who never learned; sons and daughters who never became fathers and mothers…” Also included are famous quotations on the Holocaust from Martin Niemller, a gentile who was interred in a concentration camp and was critical of the silent majority who allowed the persecution of Jews to happen. And, there are words from Nobel Laureate and Holocaust survivor Elie Wiesel. This year, Holocaust Remembrance Day is April 12. The artist, Susan Owen Kagan, finished the piece in 2003. She is the daughter of Peter Owen. Born in Germany, he was the only Jewish child allowed to immigrate to Canada alone during the Second World War.